Left-right: Tiop: Sabina Miller, Josef Perl, Jo Wagerman. Middle: Neil Simon, Gena Turgel, Stan Lee. Bottom: Michael Freedland, Maureen Kendler, Alec Ward. Rona Ramon, widow of Israeli astronaut Ilan Ramon, who perished on board the space shuttle Columbia in 2003. Rona became a public figure and established the Ramon Foundation to promote academic excellence and social leadership among Israeli youth. She died aged 54 of pancreatic cancer. Noah Klieger, who survived Auschwitz by pretending to be a boxer and went on to a storied career in journalism, died in Israel, aged 92. As a prisoner in Auschwitz, Klieger was selected for the gas chamber, but managed to talk himself out of the sentence in a personal encounter with the Nazi doctor Josef Mengele. Later, he faked his way on to a boxing squad at Auschwitz that enjoyed better meal rations. After liberation, he arrived in prestate Israel aboard the ship Exodus and fought in the 1948 War of Independence. Klieger went on to author several books and wrote a longtime column in the Israeli daily Yediot Acharonot. He continued to work as a journalist until the end of his life. Yigal Bashan, a beloved singer and composer of many classic Israeli songs, died aged 68. Bashan starred as part of the Kmo Tzo’anim trio for nearly a decade until 1995, appearing in the Israeli children’s show “Hopa Hey.” The trio is known for losing the 1985 contest to represent Israel in Eurovision by a single point. They then wrote a song titled “Anachnu Nisharim Ba’aretz,” or “We’re Staying in Israel,” which proved to be more popular than their entry for Eurovision. His other classics included “Sivan” and “Eretz Hatzabar.”Bashan released dozens of albums, including several in English, over his more than 40-year career. William Goldman, a novelist and screenwriter who twice won the Oscars for his work on “All the President’s Men” and “Butch Cassidy and the Sundance Kid,” died age 87.Goldman began his writing career as a novelist and later transitioned to writing scripts. As a novelist, Goldman wrote the critically-acclaimed “Marathon Man” and “The Princess Bride,” among others. He later adapted those two novels for film, turning them into box-office hits that are considered classics.His first film script was “Masquerade” in 1965. Some of his other notable film credits include “Misery” (adapted from the Stephen King novel) and “The Stepford Wives (adapted from the Ira Levin novel). 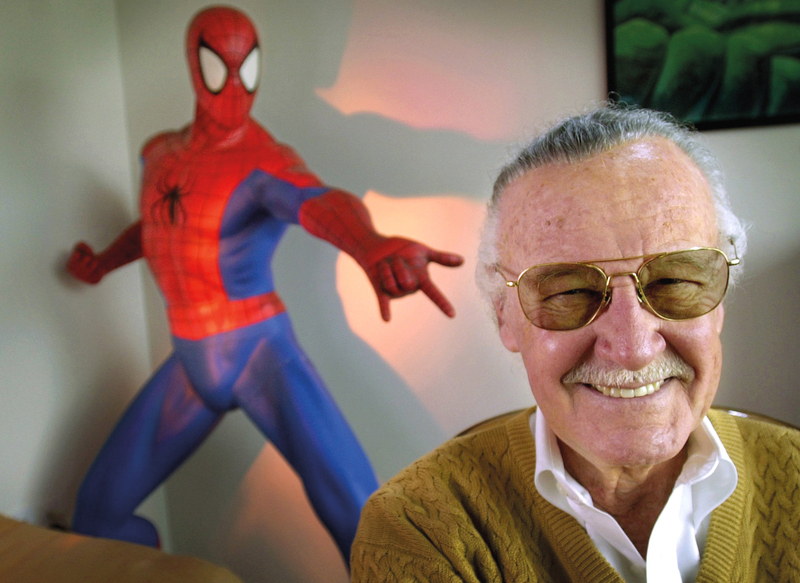 Stan Lee, co-creator of Marvel Comics and such iconic characters as Spider-Man, The Fantastic Four and The Incredible Hulk, died aged 95. The well-known American-Jewish writer founded Marvel Comics with Jack Kirby in 1961. Many of the characters’ stories have since been turned into Hollywood films, turning the Marvel brand into a multi-billionaire dollar business. Lee was renowned for making brief comical cameos in each of the Marvel universe films.After the news was announced, tributes began pouring in from across the entertainment industry, with director Edgar Wright, executive producer on the Antman film, saying: “Stan Lee, RIP. Thanks for inspiring so many of us to pick up a pen or pencil and put your dreams onto paper. Excelsior! 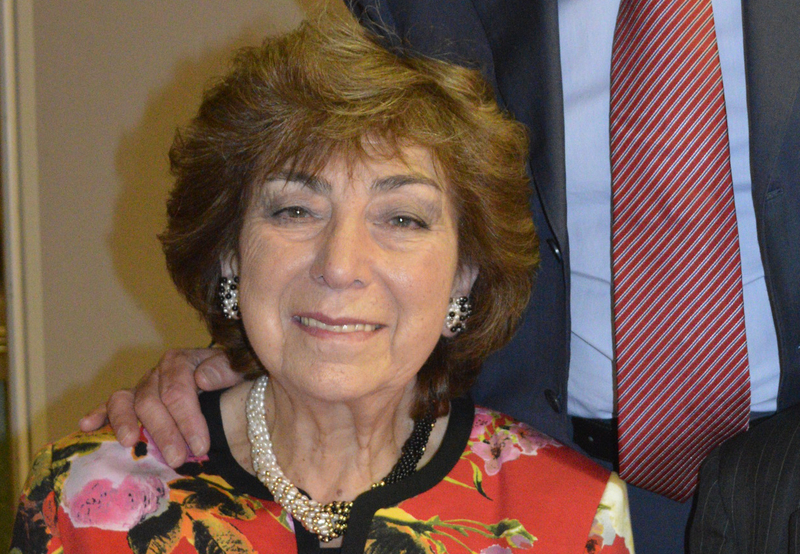 Jo Wagerman OBE, an accomplished educator and headteacher of JFS between 1985 and 1993, passed away aged 85. She was the first female president of the Board of Deputies, serving between 2000 and 2003, having previously been its senior vice-president. Leon Lederman, an experimental physicist who won a Nobel Prize in physics for his work on subatomic particles and coined the phrase ‘God particle’, died aged 96. Michael Freedland, veteran journalist and author, and father of Guardian columnist Jonathan, passed away aged 83. 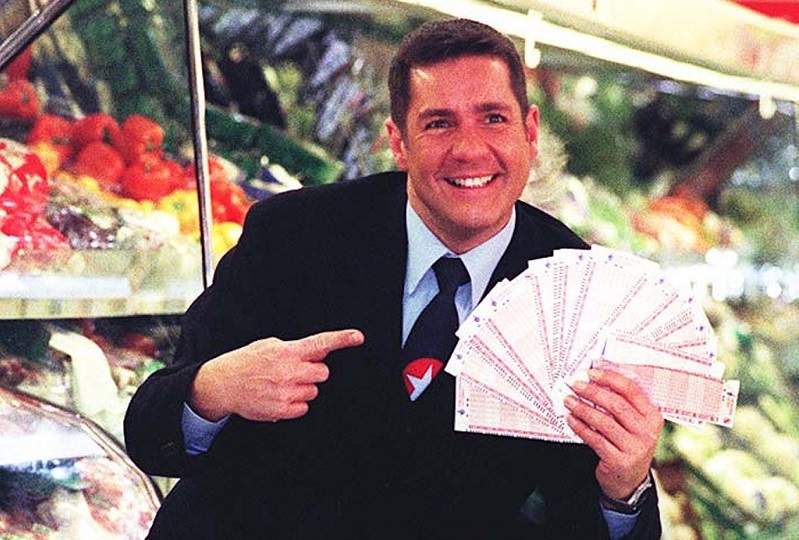 His lifelong career working at titles such as The Economist, The Sunday Telegraph, The Spectator and The Guardian, also included a broadcasting spell at BBC London in the 1980s, presenting on BBC Radio Two, and even lecturing on cruise ships. Max Nash, a war photographer who worked for The Associated Press for more than 40 years, passed away aged 77.He covered both the Vietnam and Cambodian wars, the Israeli occupation of Lebanon, the Palestinian uprising and riots in the West Bank and Gaza in the late 1980s, the first Gulf War and a rash of bombings in Israel in the mid-1990s. Denis Norden, TV presenter and comedy writer died aged 96.The It’ll Be Alright On The Night host presented the ITV bloopers show for 29 years until his retirement in 2006.After stepping down he gave a lot of attention to raising awareness of macular disease, a degenerative eye condition from which he suffered, and became a patron of the Macular Society. Born in Veliky Bochov, then part of Czechoslovakia, Josef Perl was the only son in a large, Orthodox family. When the Hungarian Army invaded in 1940, the Jewish population was forced into the town’s synagogue, from where they were marched to waiting cattle wagons which were to take them to Poland. He experienced Płaszów slave labour camp, Auschwitz-Birkenau, Dachau, Bergen-Belsen, Buchenwald and Balkenheim. Josef came to England in 1946, where he met his wife Sylvia and had two children. Miraculously, 20 years later, he was reunited with his father. He was awarded a BEM (British Empire Medal). 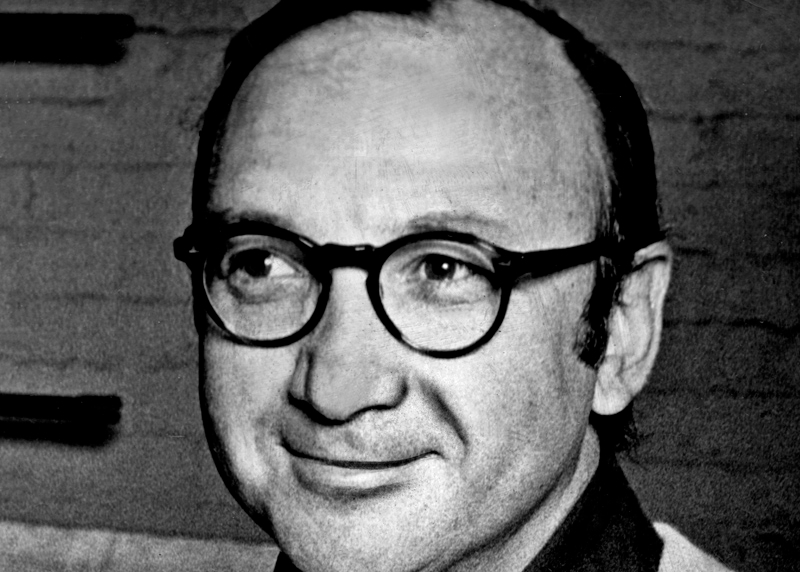 Neil Simon, who was described as a “clutch hitter” by fellow Jewish writer and producer Mel Brooks, died aged 91. The Pulitzer-winning Broadway icon and playwright received more Tony and Oscar nominations than any other writer, and is best known for works such as The Odd Couple, The Sunshine Boys, the Brighton Beach Trilogy, Barefoot in the Park and Goodbye Girl. Moshe Mizrahi, the Egyptian-born producer who created the 1977 Oscar winner “Madame Rosa” passed away aged 86. He was the only direcor from the Jewish state to win the top gong. Maurice Kaye, Britain’s longest married man, died aged 106. He and his wife, Helen, 105, of Bournemouth, were married for 84 years and met four years previously when Maurice Kaye was a travelling salesman for his father’s clothing business. The couple have two surviving children, Tina Son and Larry Kaye, seven grandchildren and seven great-grandchildren. June Jacobs, the peace activist and social justice campaigner died aged 88. She fought for women’s rights, and was awarded a CBE, having served as president of the International Council for Jewish Women, representing the organisation at the United Nations. Born in 1930, she first became active in the civil rights movement in the 1970s, chairing the National Council for Soviet Jews and risking jail to fly to the USSR to visit Jews who were refused permission to emigrate to Israel. 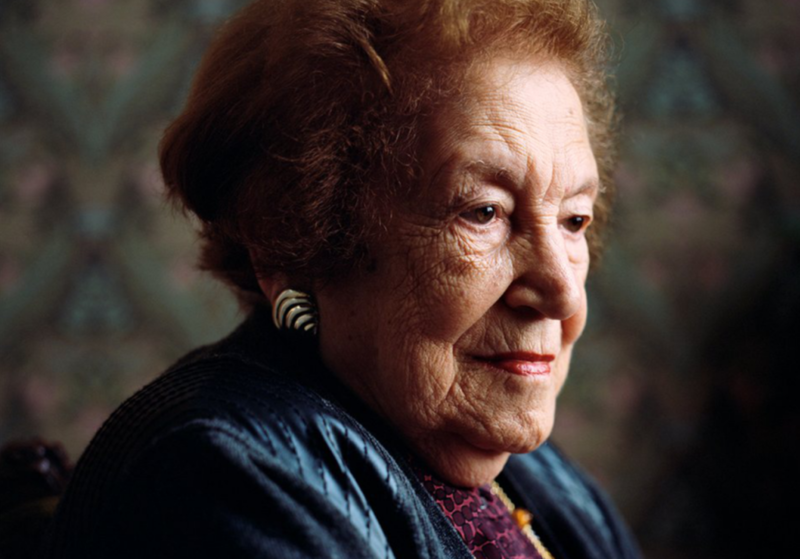 Gena Turgel, dubbed the ‘bride of Belsen’, was a Holocaust survivor and educator who passed away at the age of 95. she survived Paszov, Auschwitz, Buchenwald and Bergen-Belsen, where she met her husband, Norman Turgel, an English soldier who helped liberate the camp.After liberation, she dedicated her life to educating about the Holocaust, telling her story of surviving Auschwitz’s gas chambers, and restarting her life in Britain. In April Gena spoke in London at the community’s Yom Hashoah event, marking Israel’s Holocaust Remembrance Day. She told guests: “I beg you – don’t forget those who are less fortunate than yourselves”. Gena Turgel died aged 95. Anthony Bourdain, American celebrity chef, was found dead in his hotel room in France while working on his CNN series on culinary traditions around the world. He was 61-years-old. 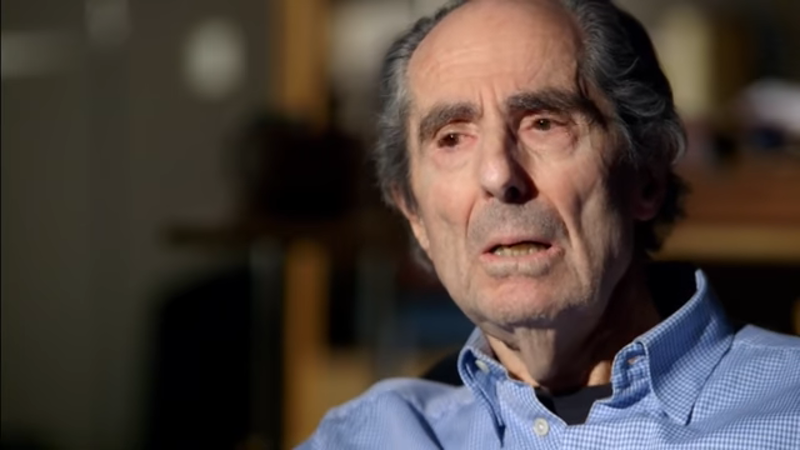 Philip Roth, the acclaimed author who received virtually every literary honour died aged 85. He was the author of classics such as ‘Portnoy’s Complaint,’ ‘American Pastoral’ and ‘The Human Stain,’ and used his books to explore aspects of his identity, including his Jewish heritage, sometimes angering Jewish readers with his ironic outlook. Bernard Lewis, the leading Middle East scholar passed away 11-days short of his 102nd birthday. 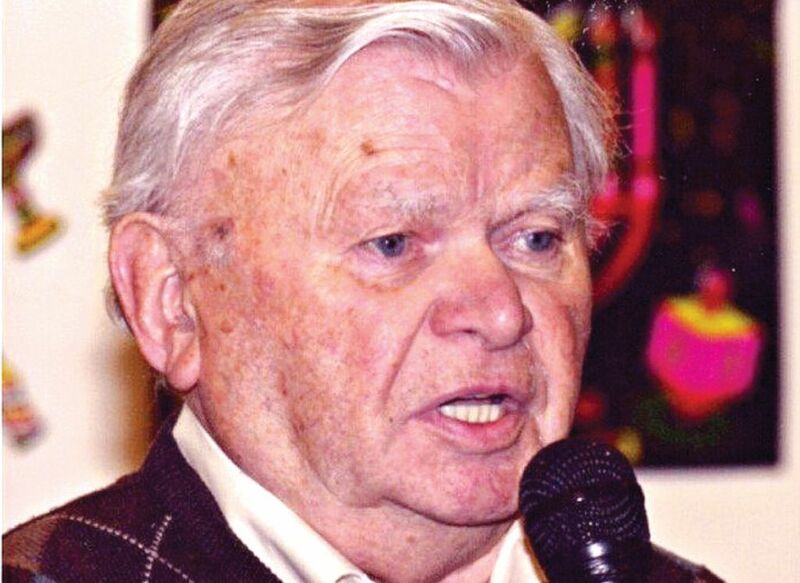 He was a Professor Emeritus of Near Eastern Studies at Princeton University, was an expert in the history of Islam and the interaction between Islam and the West. Millie Finger, a centenarian who introduced television shows on Channel 4 earlier this year to mark 100 years of women getting the right to vote has passed away, weeks after turning 101. 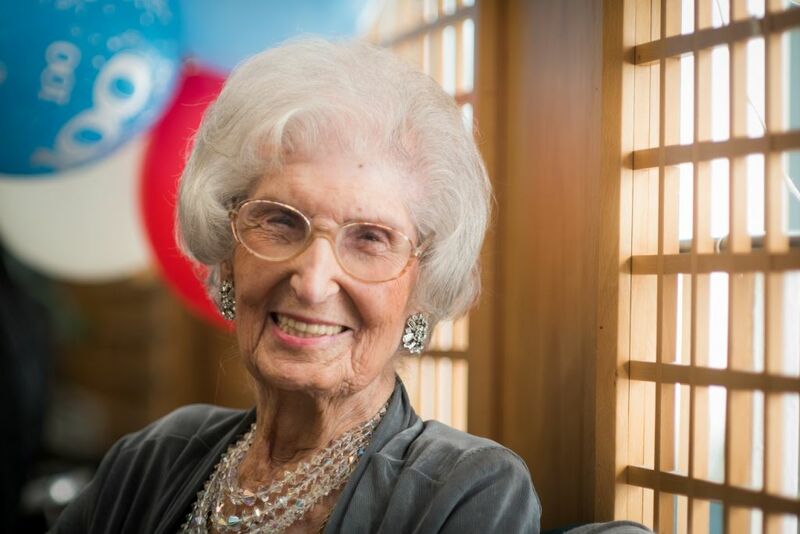 Born Millie Walvish on 30 March 1917, was a regular at Jewish Care’s Brenner Centre in Stepney – where she rekindled a bond with childhood friend and fellow 100-year-old with Beattie Orwell. 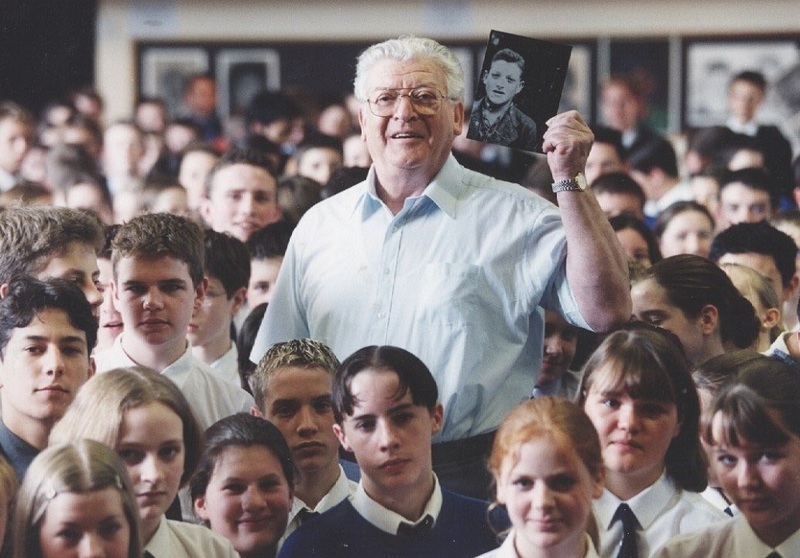 Alec Ward, Holocaust survivor and one of ‘The Boys, passed away aged 91. He survived two ghettos, three slave labour camps and two concentration camps before making his way to Britain after the Shoah.Aged 18, Alec flew to England in October 1945 as one of 732 child survivors of the Shoah, as part of a group known affectionately as The Boys. 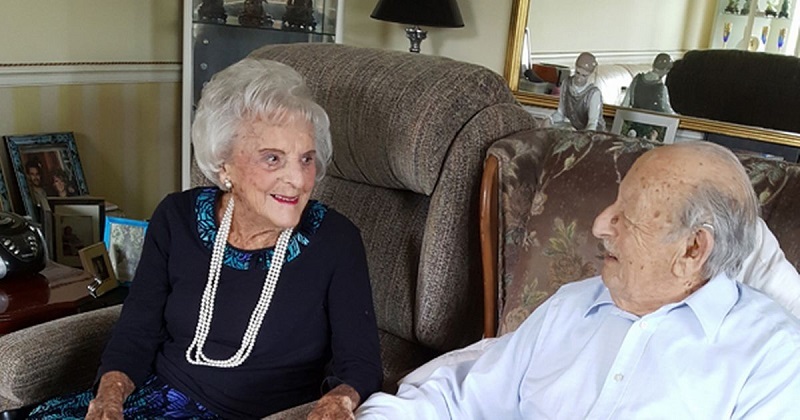 He met his future wife Hettie Cohen in 1952 and married in 1953. They had two children, Lyla and Mark, who died in 1981, aged 23 of melanoma. 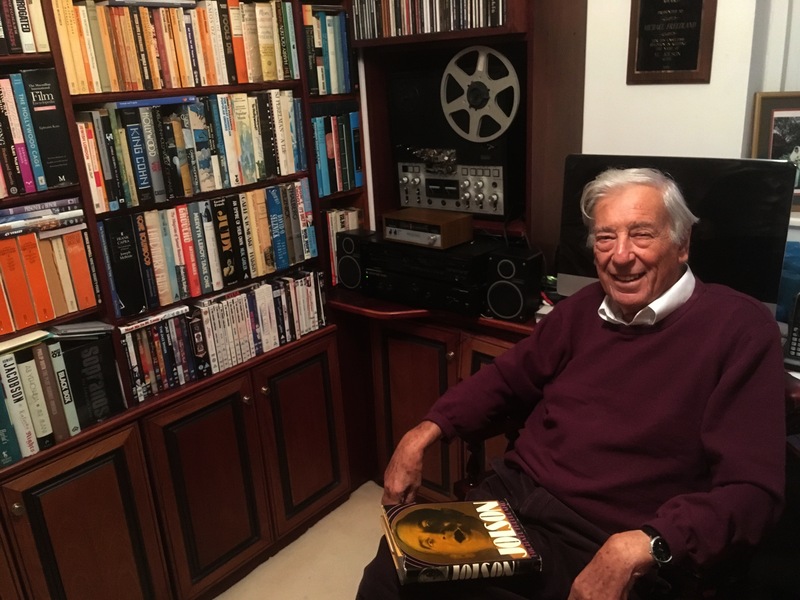 His grandson Liron is named after Alec’s younger brother Laib, who was shot by the Nazis during the war, and welcomed his son-in-law Barend and his children into the family. 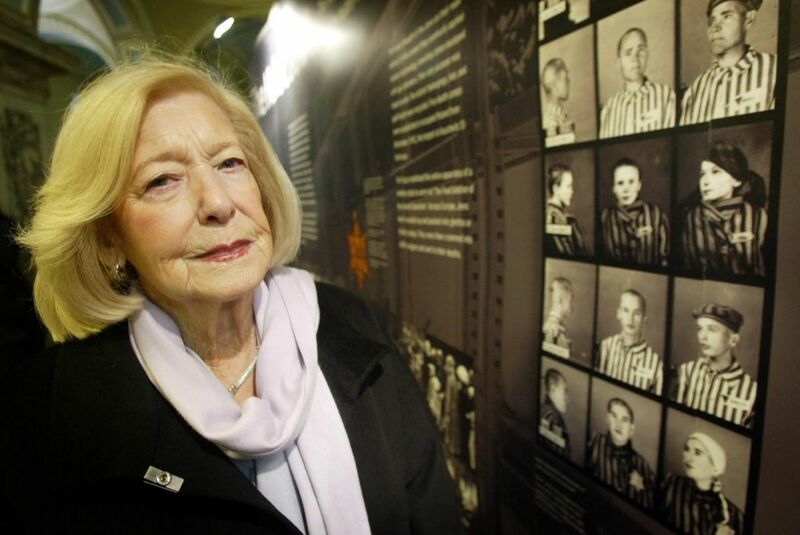 Sabina Miller, Holocaust survivor and educator whose immediate family were murdered in the Shoah, died aged 95. Born in Poland in 1922, Miller lived in West Hampstead for 50 years, working closely with Holocaust Memorial Day Trust (HMDT), telling young and old alike about how she’d lived in the forest rather than be herded onto a lorry. She survived the Warsaw Ghetto and working as slave labour on a farm owned by a brutal Lithuanian who would horsewhip Jewish girls. In later years, after she had married and brought up a family of her own, she shared her experiences across the UK. 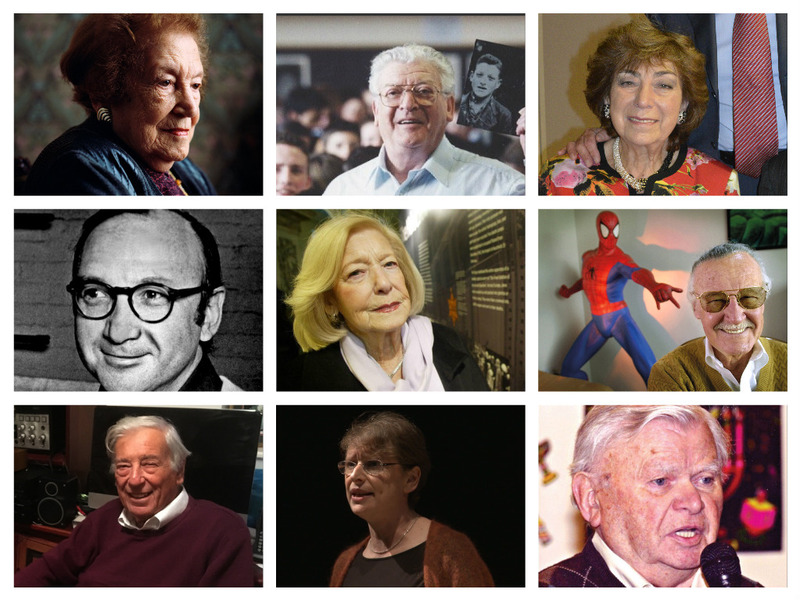 Lewis Gilbert, East End filmmaker received an emotional tribute from Jewish actress Maureen Lipman, after passing away aged 97. Lipman starred alongside Dame Julie Walters and Sir Michael Caine in Gilbert’s 1983 film Educating Rita and described the film maker as like a “favourite uncle”. Leslie Temple, war hero who flew 30 operations from RAF Ludford Magna in Lincolnshire, passed away aged 93. He was a resident of Limewood Court in Redbridge and chairman of the Ilford branch of AJEX for many years, flew 30 operations from RAF Ludford Magna in Lincolnshire. 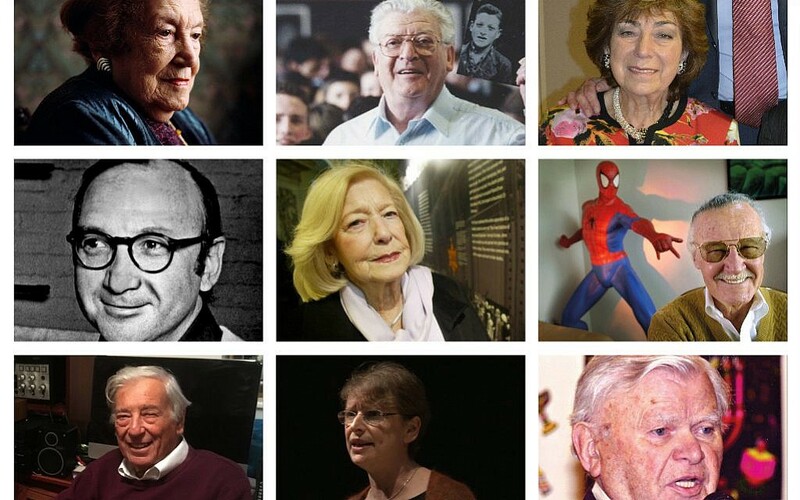 Maureen Kendler, one of British Jewry’s most popular and prolific educators, died aged this year. She was born in 1956. 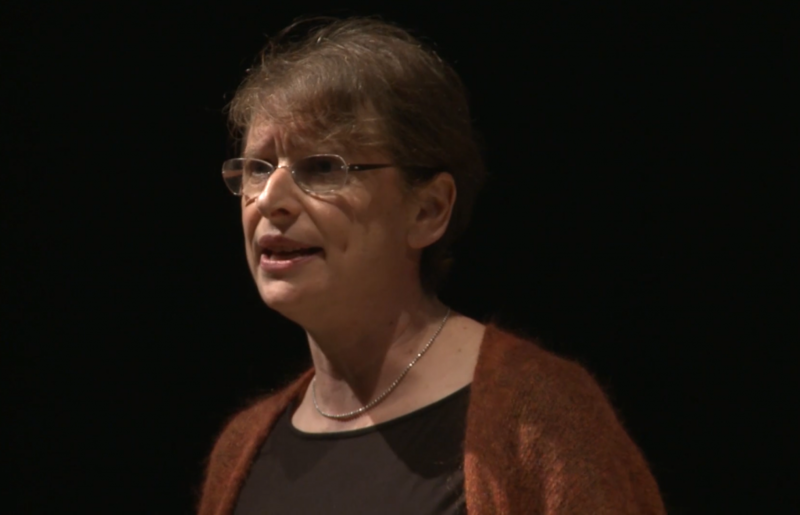 Known for her appearances at Limmud events across the world, she taught Jews about their culture, history, tradition and gave insight into individual and collective experiences that together comprise the Jewish story. David Minn, a former JFS pupil died while hiking in Argentina. He was 24. Tributes poured in for the young man, with his former school saying it “is deeply saddened”, and that “He will be remembered as a fun-loving, talented and able student with a great personality. We extend our condolences to the entire family”. Aharon Appelfeld, a Holocaust survivor who moved to Israel and became an acclaimed novelist, died at 85. The Romanian-born writer rose to become one of Israel’s most prolific Hebrew-language writers, even though he only learned the language as a teenager. Arkady Wajspapir, a key figure in the 1943 uprising at the Sobibor death camp, died in Kiev at the age of 96.